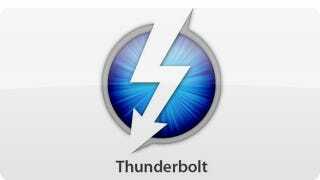 Have You Ever Used Your Thunderbolt Port? Ever? For Anything? Thunderbolt was one of the killer features last year. 10 gigabits! But since then, there have been a few Thunderbolt products, and a few comically absentee ones, but it feels like most of us have never even used the port—Mini Displayport double duty notwithstanding. Anyone getting actual use out of the thing, or is it as abandoned as it feels?